Become a butterfly at Carnegie Museum of Natural History this January with our newest exhibition — Amazing Butterflies! Shrink down to the size of a butterfly and take flight on a fun adventure. Discover a surprise around each corner as you navigate an engaging maze-like exhibition that’s all about butterflies, caterpillars, and their environments. Kids and parents alike can climb in pupa pods, crawl like a caterpillar through a monarch tunnel, soar down the butterfly zip line, and fend off a hairy plant attack as blades of grass tower above. Amazing Butterflies combines the fun of a playground, the excitement of interactive learning, and engaging activities to create a unique, family-friendly experience that opens just in time to brighten 2017’s coldest months. 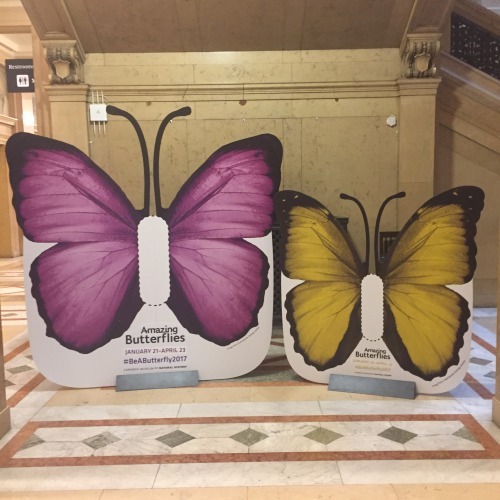 The exhibition opens January 21, but until then you can try on some wings at our butterfly selfie stations on the first floor of the museum near the Grand Staircase. Be sure to tag your selfies with #beabutterfly2017!